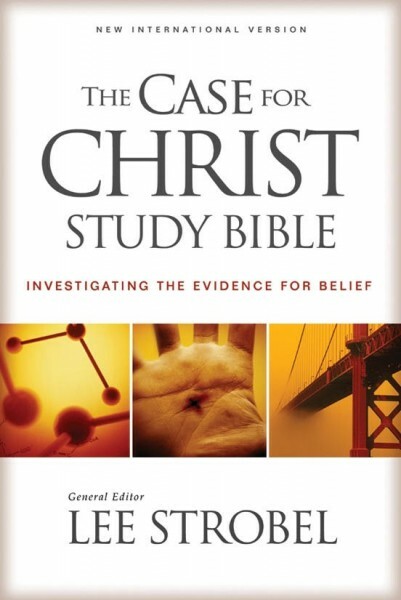 Based on the NIV translation, The Case for Christ Study Bible Notes is an engaging, informative resource that motivates seekers, skeptics, and long-time Christians to investigate for themselves the Bible’s most compelling claims: the existence of a compassionate God and the promise of eternal life through His Son, Jesus. Drawing on his experience as a reporter and his own search for truth, Lee Strobel writes introductions for each book of the Bible and numerous articles making the case for Christ, for the Bible, for faith, and for a creator. These Study Bible Notes can be used with any Bible translation.